Tempted to flip the light switch. You can’t pick your parents but you can pull their noses. Bastille Day festivities were held throughout the week, including a pétanque tournament that started in our neighborhood on Friday. Henry storms the pétanque court. 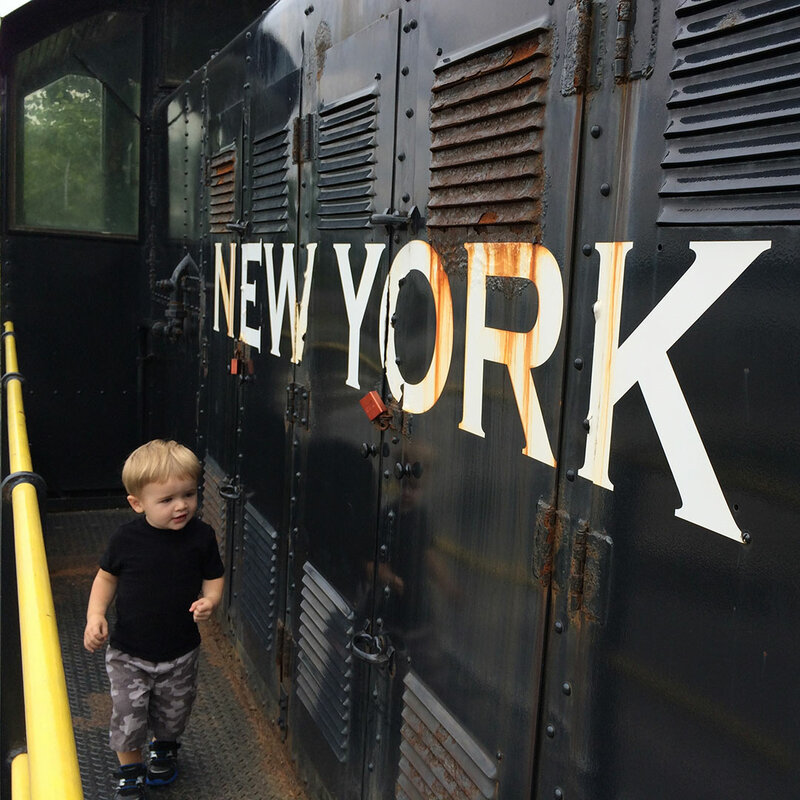 Henry had a busy Sunday playing with friends and visiting another borough. My friend and former colleague, Heather brought her two children, Billy and Fiona downtown to play for a few hours early in the morning. Henry had not yet met these two sweet kids, and they had a great time hanging out and getting to know one another. After Heather and family’s visit, Henry and I headed to Brooklyn to hang out with Jessica, Stacey and their two girls, Isla and Vera. The kids spent some time in the kiddie pool while the moms were able to drink a bit of champagne. Sidenote: Stacey’s husband, Paul, made a wonderful smoked brisket. 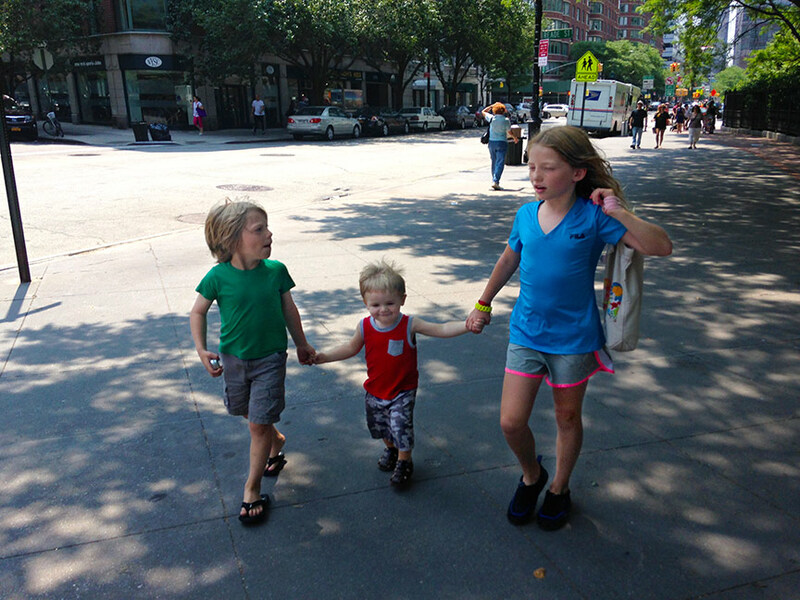 Billy, Henry and Fiona walk to Washington Market Park hand in hand. Henry with Vera (in pool) and Isla (on bike). Vera, Henry and Isla near the kiddie pool.